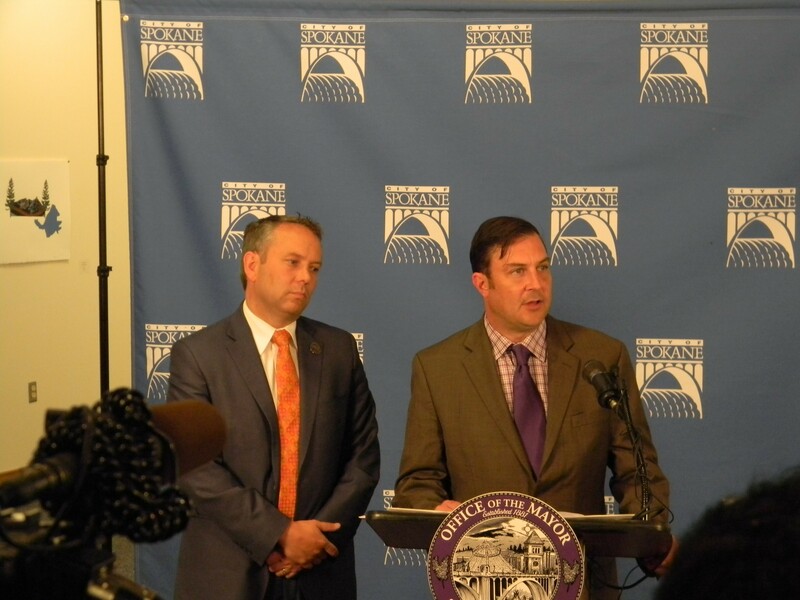 Spokane Mayor David Condon and City Council President Ben Stuckart will ask the U.S. Attorney's Office for the Eastern District of Washington to give them recommendations for a new, independent investigator to replace retired federal Judge Michael Hogan. Condon announced Monday that Hogan would investigate the city's forced resignation of former Police Chief Frank Straub and the city's handling of allegations of sexual harassment against him by former police spokeswoman Monique Cotton. Condon and his administration have faced criticism for shifting explanations given to the public and the media surrounding both issues. Stuckart says the move comes because he received numerous citizen complains about connections between Hogan and city employees. "I have high respect for Judge Hogan," Stuckart tells the Inlander. "I met with him on Tuesday for an hour and a half. I don't question his integrity, but it's all about perception, right? The fact that there's a question taints whatever results come up." Together, Condon and Stuckart will select an investigator, who will focus on "process, policy and timeliness as requested in the City Council letter on Nov. 30," according to a news release from the city. The council's letter demands answers from Condon for secrecy within his administration about the allegations of sexual harassment against Straub. The council also directed Condon to answer for the three-month delay in fulfilling a public records request that revealed he knew about the sexual harassment allegation in April of this year. A team of four — two people selected by the Mayor's Office and two by city council members — will serve as liaisons between the investigator and the public and refine the scope of the inquiry as it progresses. The city will get periodic progress reports, though no timeline for completion has yet been established. Meanwhile, former City Council President Joe Shogan filed an ethics complaint against Condon for allegedly lying about his knowledge of Straub's misconduct. Read our coverage here.